My drum carder came! My Brother Drum Carder finally arrived, and it is all ready to go! As you can see from my ‘unboxing’ pictures my Brother Drum Carder arrived assembled and ready to go with instructions in a lovely plastic pouch. The intake drum and larger drum are at the right depth, though there are detailed instructions for how to change that depth if needed. I will admit I followed directions from another website, I cannot find them again to give them credit, and did some sanding. I took an emery board and ran it in all directions across both drums of my carder, this was supposed to take out any little burrs left by the manufacturing process. The emery boards were all chewed up at the end of the process so I hope it worked. The carder itself works like a dream, but it really is a good idea to be up on your tetanus shot before working with something like this. 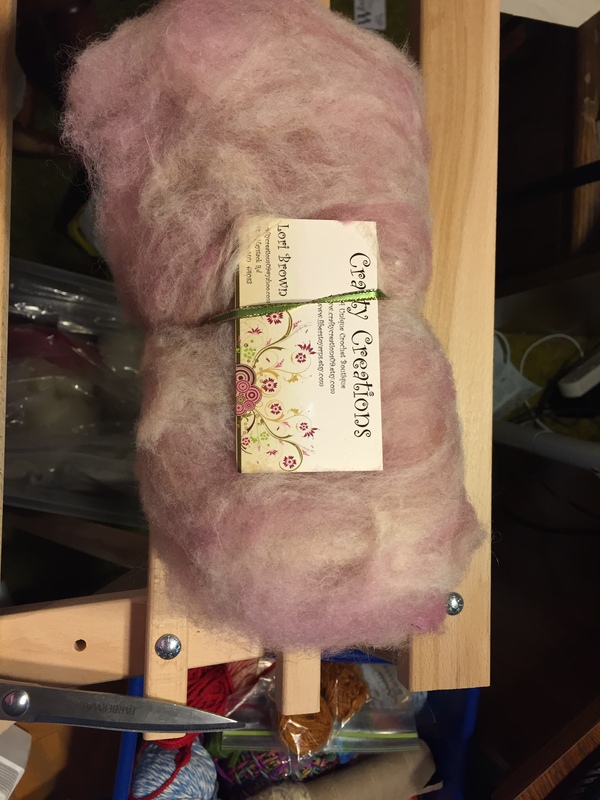 I am having an absolute blast playing with my new drum carder. I am experimenting with corriedale, merino, and some other colored wools. I will post later today or tomorrow about my new batts! I have been having a blast spinning on my Schacht Ladybug! In the beginning I thought that 3 ply yarns were all that I would create, but since then I have discovered the joys of 2 ply yarn. While I still have consistency issues, the journey has been a lot of fun and created some beautiful yarns. From the bottom up, the purple is a corriedale roving plied with a merino strand, the next skein is the same corriedale plied with itself. From left to right the first ball is a pretty blue roving I got from Paradise Fibers (it has rose silk in it) plied with a white merino. The second ball is the same roving plied with itself and a bit of a lighter blue roving I had from paradise fibers. The third ball is a random batt I had lying around (It was bit coarse and almost cotton like) plied with a merino. All five have been washed so this is their final appearance. As of the time that I am writing this post, I have NO IDEA what I am going to do with them! Cowls, fingerless gloves, or weaving samples the possibilities are endless! Such lovely dilemmas. I purchased a 4oz roving of Corriedale Sliver in the Summer Days colorway by WoolverineFibers. I had spun up tiny bits here and there playing with my tahkli and the rich colors found in the roving. 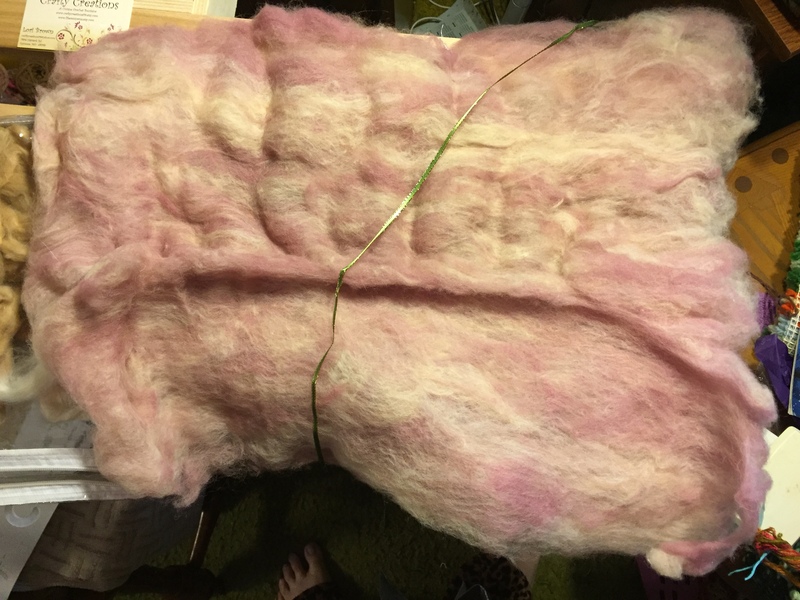 To pass my idle time, I work several part time jobs so idle time is made the most of before sleep, I pre-drafted the remainder of this roving into fine strips that would be easy to spin. Boy were they easy to spin! Before I knew it I had spun up half of the roving and the results were beautiful. Since I had half of it spun and many of the articles I had read expounded upon the joys of 2 ply yarns I decided to create this yarn as a 2 ply. It is not perfect, but to be honest it isn’t garbage either. I had to deliberately twist this into a hank since once it was taken off of the niddy noddy it did not twist back on itself. This is the pre-washed skein and it might shorten up and twist more when it is washed, but for now most of a 4 oz section of roving created 148 yards of 2 ply yarn. 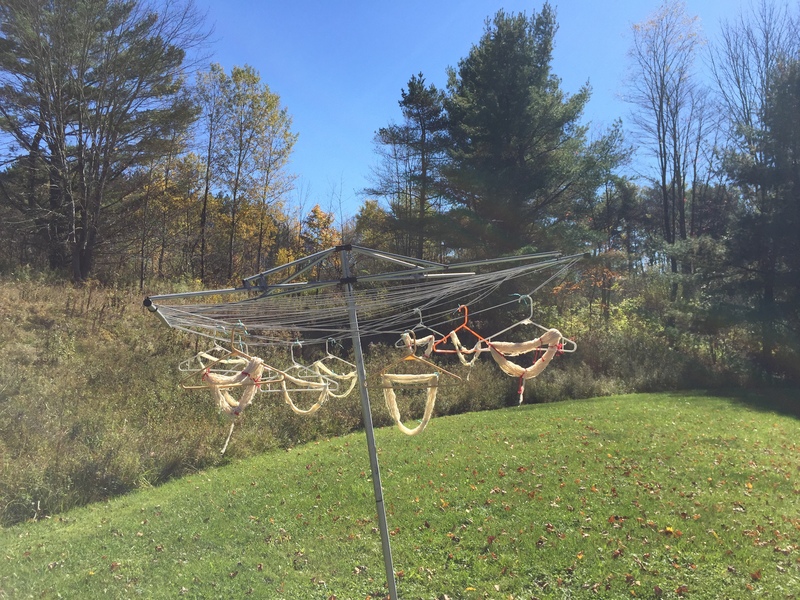 I spun it in a worsted manner, occasionally trying a long draw but mostly succeeding with a short forward draw. Washed and sampled materials will be posted later, I hope. 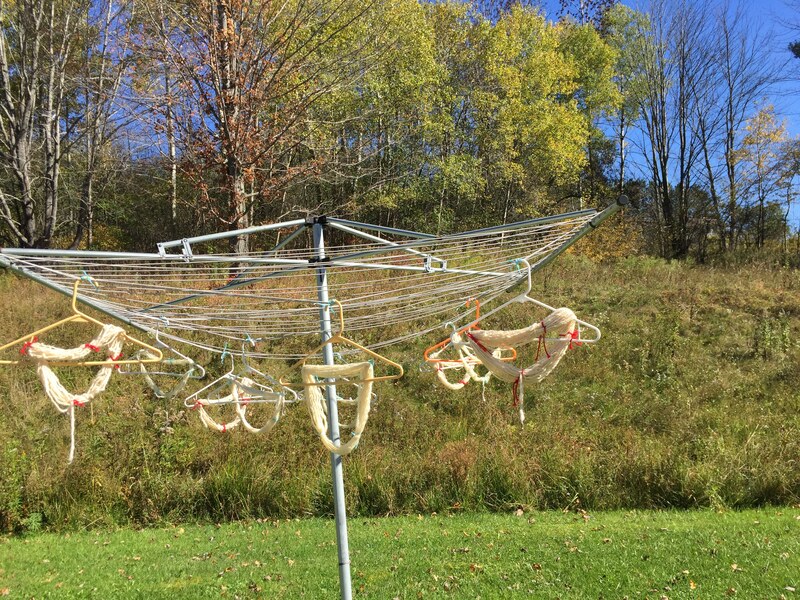 This past week we had one lovely day of Indian Summer. 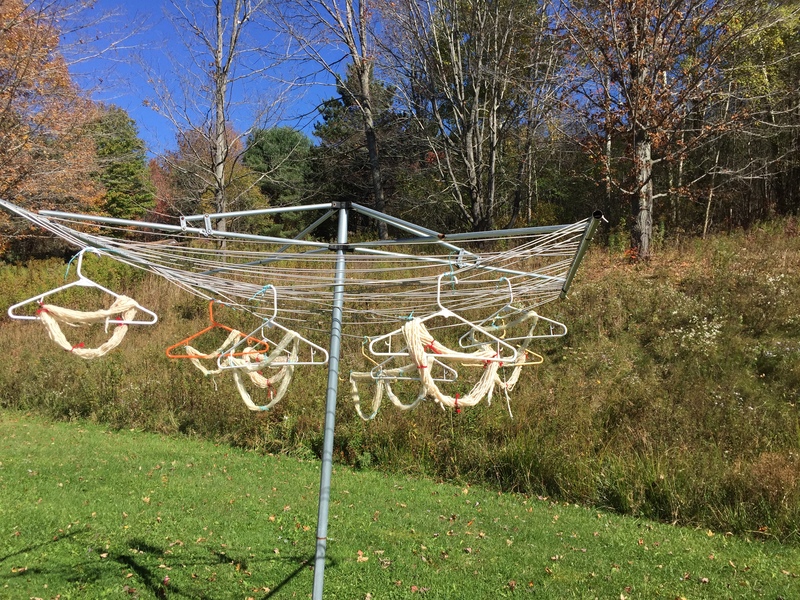 The weather was about 70 so my mother suggested that I hang the wool that I Plied using the Navajo Ply, and then washed, out on the line to dry. 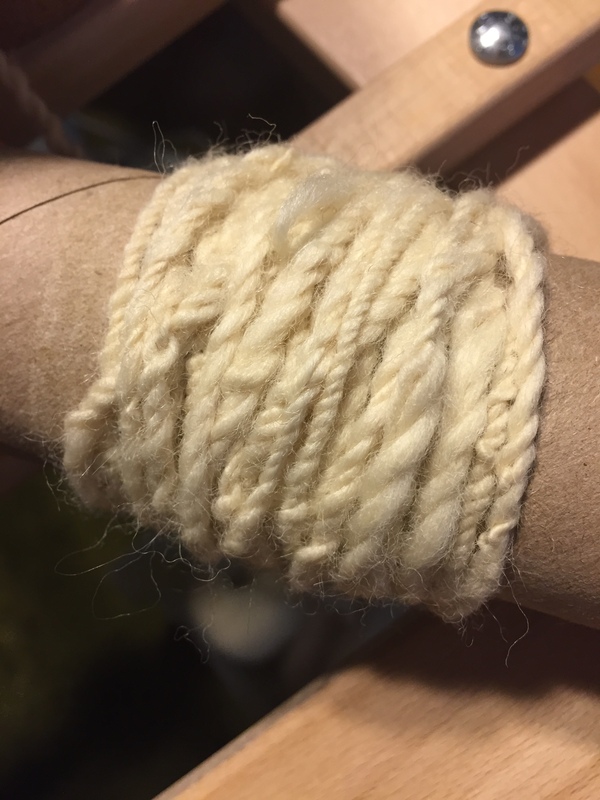 I had also managed to ply the bamboo silk I though I had ruined using the same method. Since I could not decide which picture to post, I posted a selection of them. With some of the single left over from my plying, I attempted to Navajo Ply. I really like how it turned out, it has an art yarn feel since my spinning isn’t very consistent right now. Watching a couple more videos, I now know that I don’t have to create a nice short consistent chain, but big long loops to ply. It will be fun to try again in the future.